It’s a big word with so many definitions, especially in this Digital Age. I define it as saying what you want to your potential clients quickly, efficiently and profitably. You want to present your website visitors with accurate, educational, entertaining and easily found information about your products and services. That’s what Philip Day Communications is all about! We communicate what you want to say and need to say in this fast-paced and always changing digital world. My office is in Charlottesville, Virginia but will work for you no matter where you live, work and play. Philip Day Communications works with clients around the country. 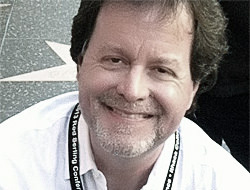 Thanks for checking out www.PhilipDayCommunications.com and I look forward to working with you! ‍You name it: copywriting, scriptwriting, blog writing, content management, titles, title tags, meta-tags, social media postings, even emails. I just enjoy doing it!